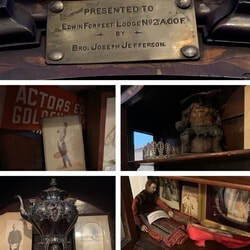 ​Unless otherwise noted, EAG events take place in Guild Hall, located on the second floor of The Little Church at 1 East 29th Street (between Madison and Fifth). Doors open approximately 20 minutes before each event. 100% of proceeds from our events go directly to helping local performers in need. ​EAG is proud to announce that the Barbour Playwrights Award will be back for its TWELFTH terrific year in March. 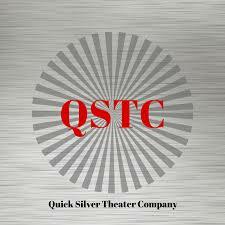 This festival celebrating new work for the theatre will feature readings of three new plays by innovative emerging playwrights of color, plays nominated by this year’s partnering company, Quick Silver Theater Company. The festival begins on Thursday, March 14 at 7pm with a reading of Black Doves by Reynaldo Piniella. Next, on Monday, March 18 at 7pm, is A Boy & His Bow by Kareem M. Lucas. Closing the festival on Thursday, March 28 at 7pm is BURNBABYBURN: AN AMERICAN DREAM by a.k. payne. One of these three playwright finalists will be awarded a prize of $500. Doors will open at approximately 6:40pm for each reading. Each reading will be followed by a brief talkback with the playwright, then a wine and cheese reception. BURNBABYBURN: AN AMERICAN DREAM is a play that follows Sky and Sky II, two Black American womxn of the same lineage, born in the second half of the 20th century; they both try to make sense of what it means to love while always moving in the wake of the transatlantic slave trade. In the Emma Lazarus retirement home in uptown Manhattan, the Jewish inmates embark on a chaotic, bitchy production of Hamlet. Comedy and tragedy combine as our hero, Otto Korner, directs his quirky, libidinous fellow residents in the play and looks back over his adventures in Germany, Zurich, (where he met Lenin and inadvertently invented Dada), Auschwitz and America. Join us in Guild Hall for some soul-soothing yoga. April Evans will be dropping by each Monday at 1pm to help stretch and strengthen performers of all levels of mobility. This class is for everyone- you can even do it from a chair. ​Each class will be limited to 12 people, so make sure you RSVP each week! On this Volunteer Wednesday, we are putting together our annual slate mailing. We'll provide snacks if you provide company! ​Celebrity psychic Dr. Wonder and her loyal, if somewhat bewildered, sidekick Birdie, pull up to various salons and saloons, hotel conference rooms and auditoriums, and bus stops and auto repair shops around the nation to lecture, teach, and provide personal psychic predictions. Expect winning musical numbers and much interaction with the audience from this ongoing collaboration between Colleen O’Neill and Judith Greentree. Dr. Sanderson will give a brief presentation on psychological and emotional dilemmas of an acting career. She will discuss, among other theories, D. W. Winnicott’s theory of true and false self and Carl Jung’s theory of persona and shadow. She will then offer some practical tools for dealing with the peaks and valleys of actors’ experiences in their career. Discussion will follow, and improvisations depicting vignettes from everyday actors’ lives will be performed by attending actors. 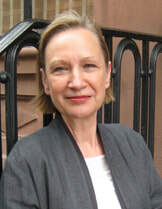 ​Krystyna Sanderson, Psy.D., LP, is a psychoanalyst in private practice in New York. She writes and lectures regularly on topics dealing with psychoanalysis in relation to arts, spirituality and social phenomenon. She is an avid theater-lover. ​FREE! Space is limited. Registration is required. 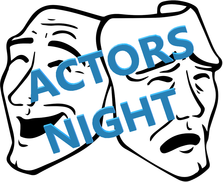 ​Actors Night at EAG is a judgment-free zone, where you can work on monologues, scenes, commercial copy, cold readings, your own material- anything!- before a group of supportive and talented fellow artists. Whether or not you get constructive feedback is up to you. No need to make reservations- just stop on by! The annual EAG Council elections are coming up, and we need help mailing out the ballots. Drop by Guild Hall on Wednesday, April 3rd, for a visit and volunteering, chatting and charm, & coffee and cookies! Thank you! 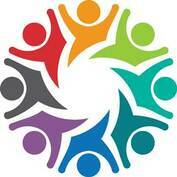 The Archives Committee invites all Guild members to visit their meetings! View the exciting materials stored in Guild Hall, join in discussions of relevant theater history, and consider joining the Archives Committee as they continue sorting and organizing the extensive collection accumulated over the past 120+ years.